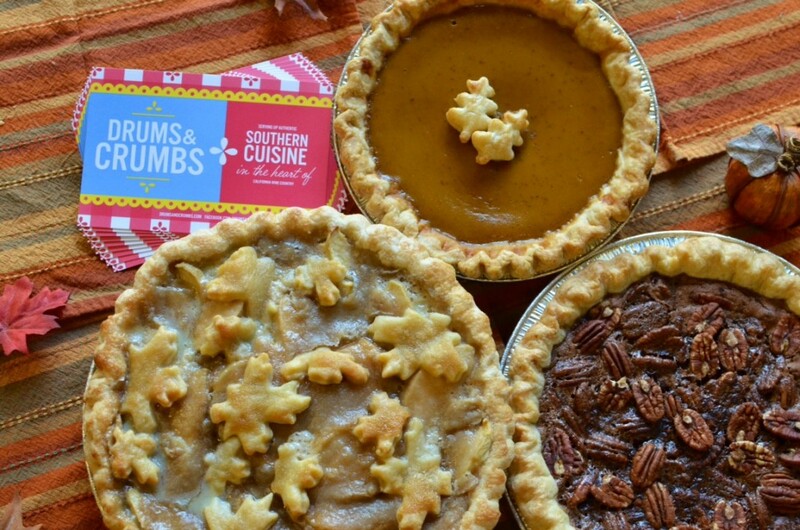 DRUMS & CRUMBS « Pre-Order Your Thanksgiving Pie! Its our Third Annual Thanksgiving Pie Sale! Choose from Organic Pumpkin, Organic Classic Apple and Chocolate Bourbon Pecan (our best seller!). Our 8″ pies serve six guests and cost $20, tax included. Our 10″ pies serve eight guests and cost $25, tax included. This year we have two pick up locations: Sonoma Community Center in Sonoma and Uchiwa Raman in San Rafael. Last day to order your pies is Sunday, November 22, and you can pick them up on November 24 or 25. Email us to discuss bulk orders or delivery. To order your Thanksgiving pie, email Rachel at rachel[at]drumsandcrumbs[dot]com or call 707-999-8394. « Drums & Crumbs @ Off The Grid!